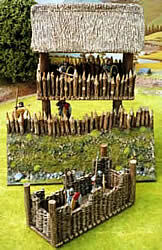 So you've put yourself together an army (or a horde of dungeon denizens) using the Colonel's splendid Army Showcases. 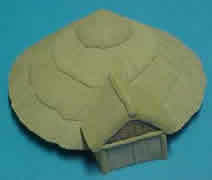 You've knocked up some smashing hills and trees using the hints and tips at the excellent Terra Genesis site. 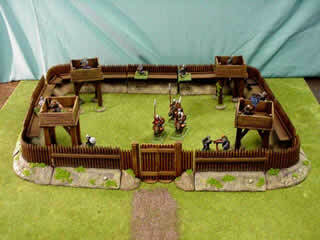 But it gets a bit dull fighting battles over muddy fields with only a few hills and forests to manoeuvre around. 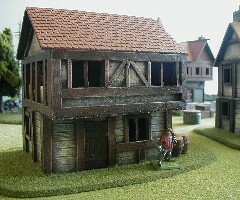 So what to do if your wandering monsters demand some walls to their 10'x10' rooms? 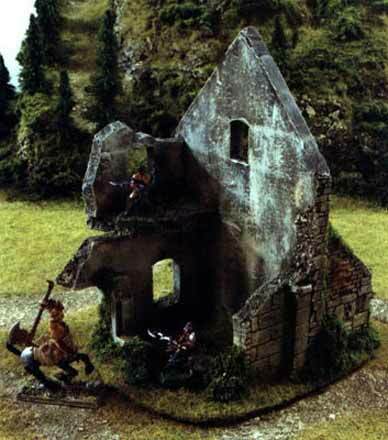 Where to go when your treemen get fed up of guarding the woods and decide to take the battle to the wizard's tower? 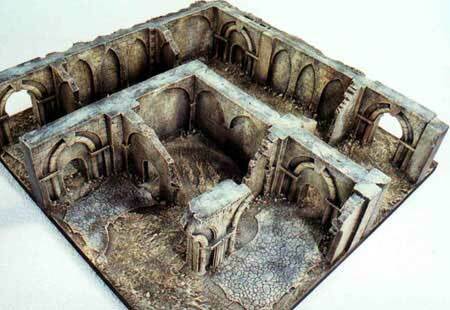 Are you going to recreate Helm's Deep using an old sock and some polystyrene ceiling tiles, or are you going to do it properly? 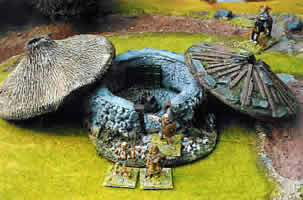 Scotia-Grendel have a very wide range of terrain pieces- mostly suitable for ornamenting tabletop roleplaying sessions, but with wargame-useable pieces in both the 'fantasy' and 'historical' sections. 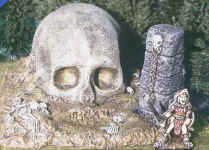 There are a plethora of ruins to pick through, treasure to steal and even a goblin and barbarian village to raid! 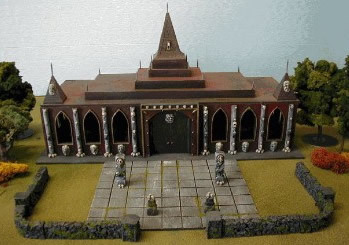 The dungeon, mine and graveyard sets are flexible enough to allow a variety of uses, and the Dwarf Stronghold boxed sets looks like it might make a good modular set (if the doors are high enough! 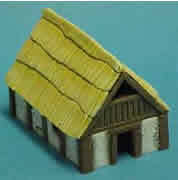 ).They even have a few sets of reasonably priced accessories for your taverns, keeps and lairs, from furniture to bottles and barrels, although in these cases you might find cheaper sources in plastic if you aren't too fussy. 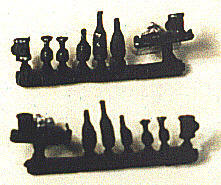 If you fancy some dockside pieces (and more barrels n treasure) there are more pics in the Pirates & Sea Dogs Showcase. 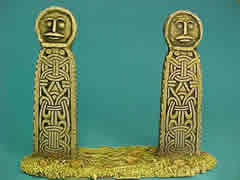 Note that you will find some of these pieces mirrored in i-Kore's Celtos range... before purchasing check the 'Barbarian' pieces at Grendel, you could save yourself a small fortune! 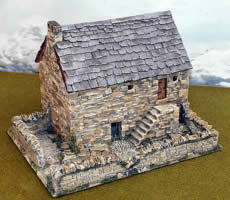 Monolith produce a range of resin pieces more suited to the battlefield. 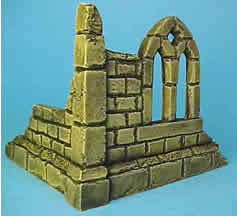 The ruined church pieces are all available separately, and can be fitted together to give you anything from a crumbling chapel to a fallen monastic complex. 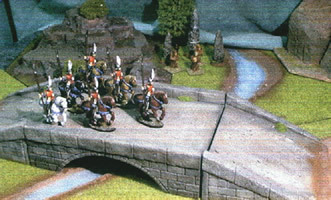 A statuary section includes handy pairs of large guardian-type figures to look imposing by a variety of entrances (or on either side of a river, if you like), while bridges, forts and walls add tactical as well as aesthetic interest to your battlefield. 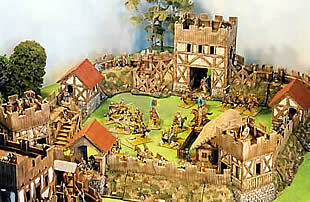 If you want a real sense of immediacy to your battles you can even fight over a village or town of your native land... be it akin to ancient european, dark age, or medieval... there is even a separate medieval town section for the really ambitious, which includes ruined versions. 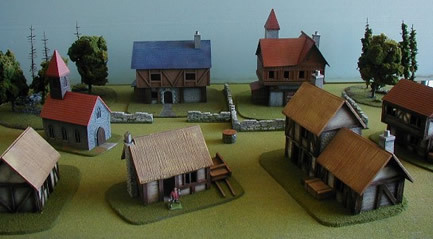 Be warned though that each full building is 8-12GBP, fair value but even a fairly modest village will set you back a fair wack. 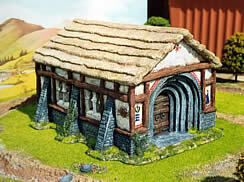 Grand Manner produce an excellent range of building pieces, with Ancient, Dark Age, Roman and Medieval buildings plus walls, hedgerows etc. 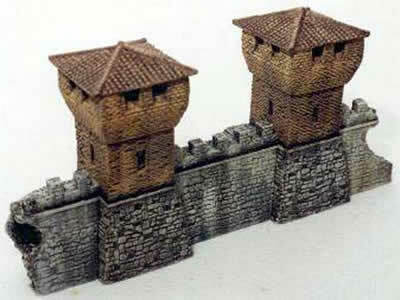 and some super fortification pieces in the first three ranges. 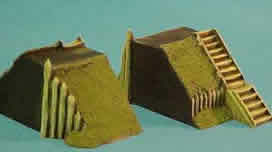 Buildings range from 15-50 GBP, wall sections are from £10-£16 for 160mm of wall or pallisade, with discounts available for fortification 'deals' (10-15% discount, but you'll be spending over £100). 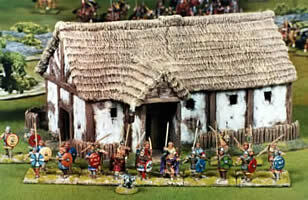 The Tribal African and Dark Age Celt/Pict ranges (with a choice of roofs) should be good for more primitive fantasy races. 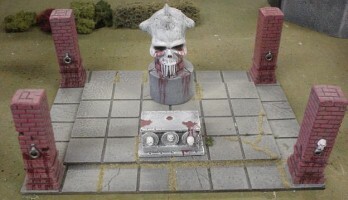 Supplied unpainted in white resin. 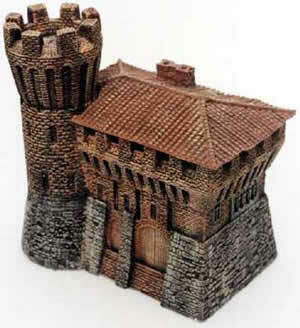 This Italian company produce some incredibly detailed building and dungeon pieces in plaster, with metal and resin detailing, which they claim to be hand-crafted. 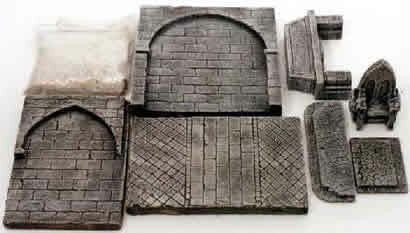 Available in kit-form as complete buildings/dioramas or with modular 'bits' to build your own, and with an emphasis on the gothic ruins these are substantial and beautiful (if pricey) pieces that will make a huge impact on your table. 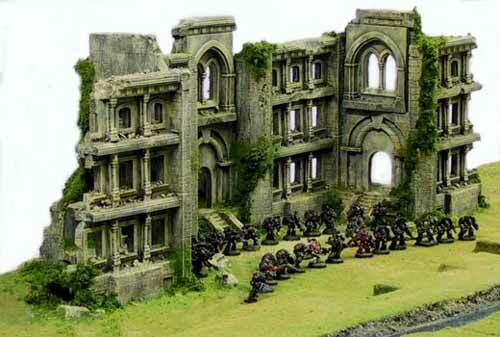 There is also a nice section of ready made dioramas and bases, to inspire your creativity, and which present some possibilities for converting to tabletop use- the diorama pieces are supplied painted for the über-lazy! 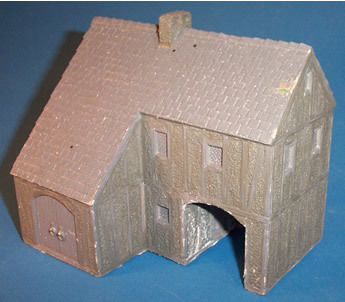 Crusader's resin kits are all designed to be modular, so not only can you lift off the roof to move your figs about inside, you can put another storey on instead (and take the roof off that, and move your figs about inside, etc). 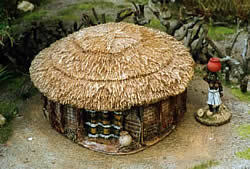 Nice accessories and kits allow you to further customise your hovels. 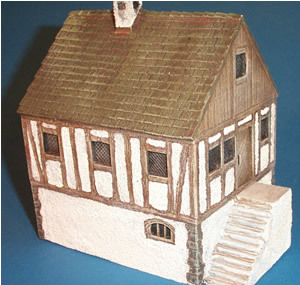 The large house below is 10" tall and 7" wide and comes in at $34.99 US. 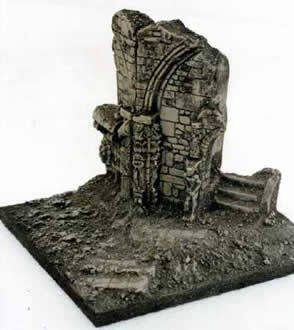 Their gothic building sets are shown on the site as ruined modern/future city scapes (think 'gotham building sets', but the elements could well become posher fantasy buildings and the Chaos Temple/Shrine in the same section bear witness to the intended flexibility. 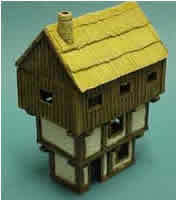 Concentrating mostly on WW2 stuff, there is one 28mm Peasant cottage in the 'fantasy' range (not sure what makes it fantastical, maybe the architecture style never really existed in history). 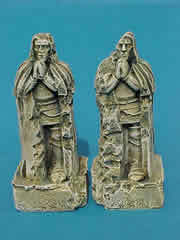 Approximately 5 1/2 x 5 3/4 inches, 22.00U$D seems a bit steep to me even painted (which I suppose it must be, but it doesn't say so). 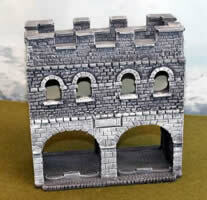 They also sell some polyurethane pieces made with Herb Gundt (of HG Walls). 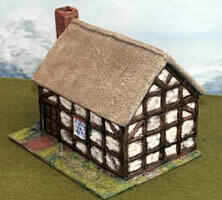 Mostly half-timbered pieces, looking slightly out of period, but they are nice looking pieces to add some variety to your towns. 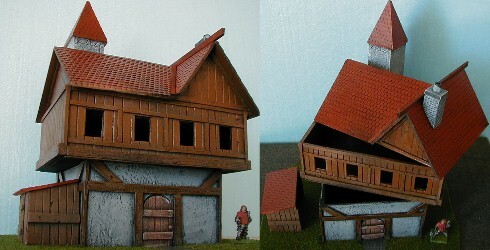 They look as if they are pretty large pieces, but they aren't cheap- 35U$D for a two story house. 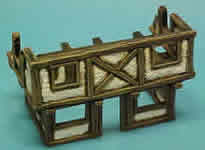 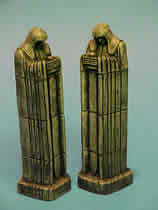 Amazon have a few terrain pieces saved from the recall bin in their Terra Nova range- not the most inspiring pieces but not too pricey either and you might find the roman fort a nice piece (available in sections, 46GBP for the fort set which I think is a considerable saving but the pic doesn't seem to match the product details listed). 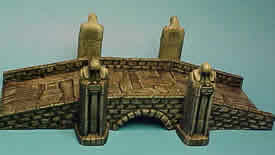 There are other bits and bobs in the old Pendragon range- this is as yet rather poorly illustrated (probably because of the poor quality of these now ancient moulds) but as some of these small bits would be almost impossible to screw up it might be a good cheap source for equipment, treasure and other flotsam). 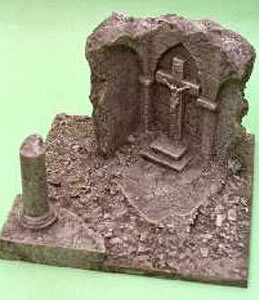 On the other hand you might just think about getting the putty out and squeezing off your own.